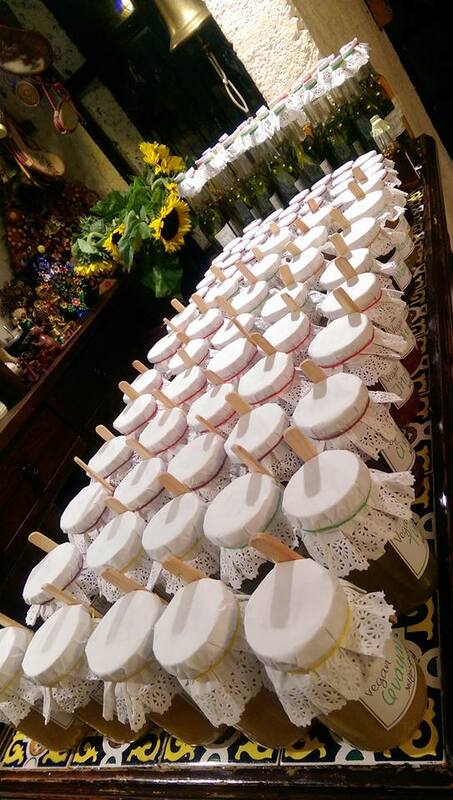 Marmelades n’ Jams! – Just For Sybarites! Before we start, I need to make clear the difference between marmalades and jams! 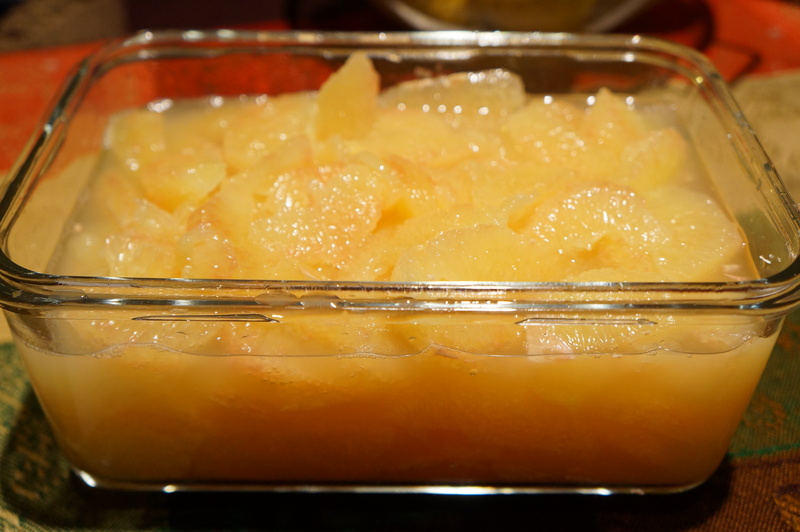 In spanish the term “mermelada” stands for any clear jam or thick compote whether it is made out of citrus or not. 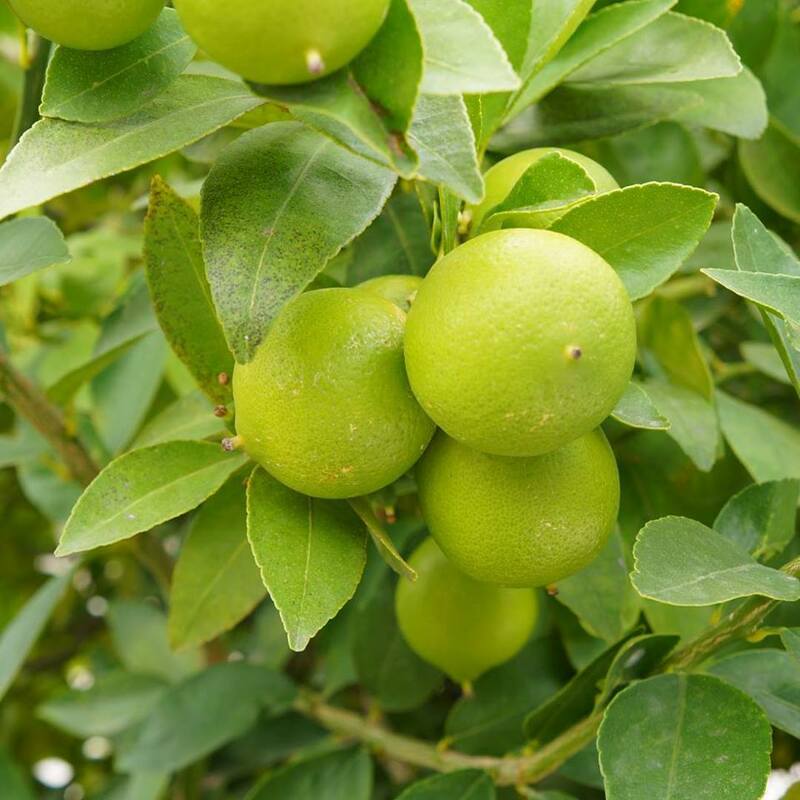 In english marmalades are those made out of citrus such as orange, tangerine and grapefruit among others and jams all of the rest including vegetables. 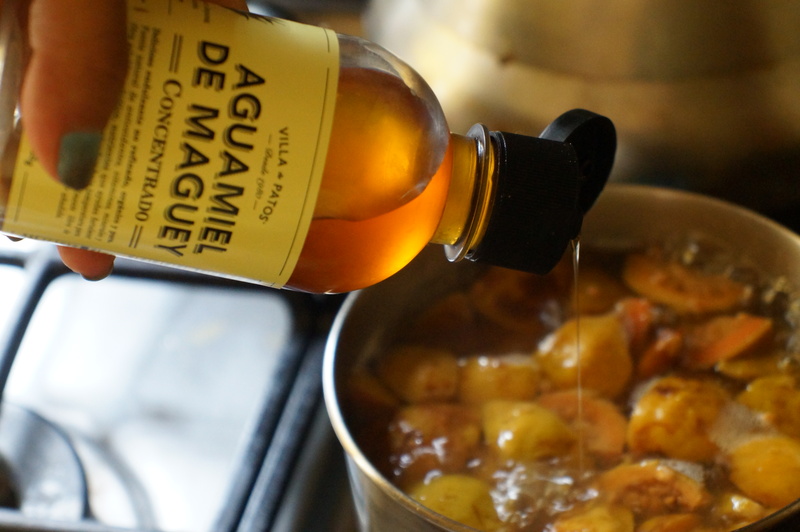 As for compotes are those that have a “creamy” texture, more like a puree. 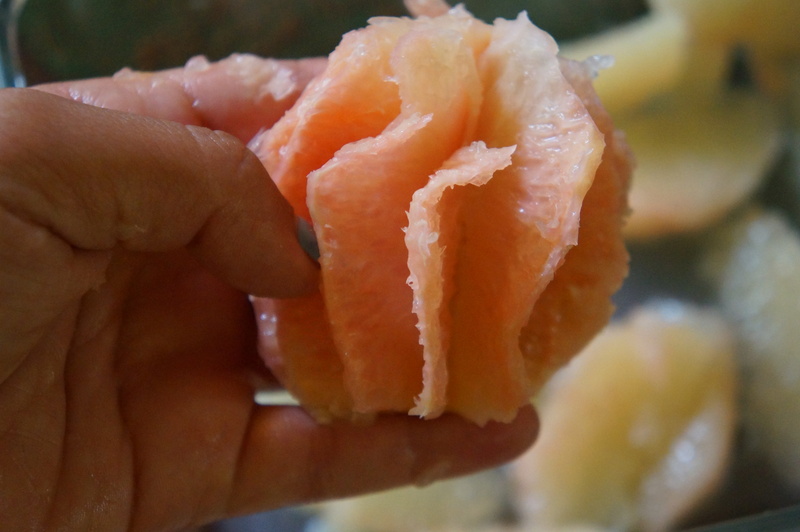 This can be a fruit, vegetable or flower . We always grow up with a “taste prejudice” thinking that certain veggies are just salty and we don’t give then a chance… Here you have to go beyond and allow any veggie to explore its sweet side. 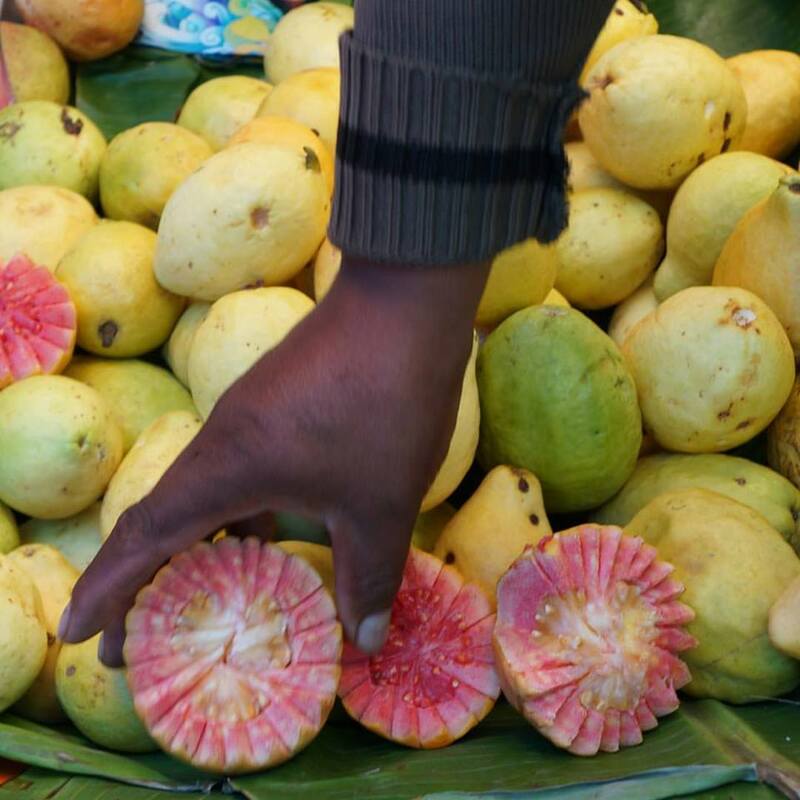 The fruit must be chosen not too under ripe and not too over ripe.. the fact is that there is a chemical called pectin that allows the jam to set and a fruit has the most pectin in the middle of its life! Don’t forget to wash thoroughly the fruit you will use since most will remain unpeeled. 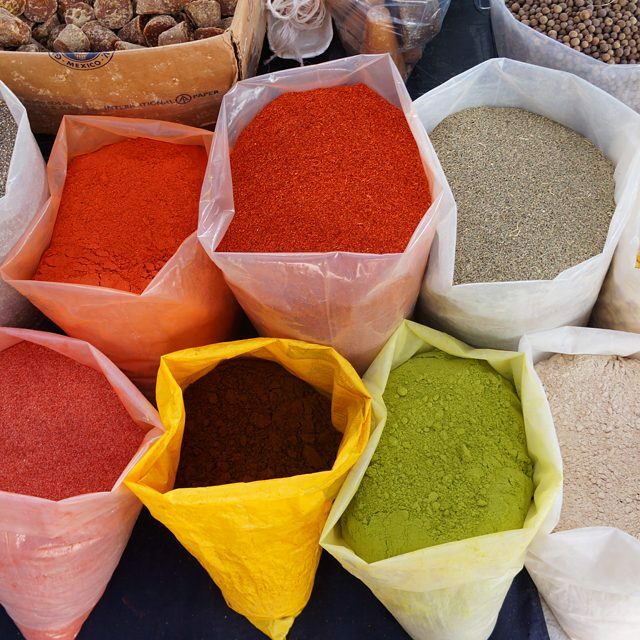 In this kind of “dish” you must remember that spices are your friends! Here is where you can play around to make something taste like christmas (lets say with cinnamon, star anise and cloves), or give a fresh touch to it (like cardamom does). Don’t be scared to add chili or other spices just watch the quantity. The easier to use is. 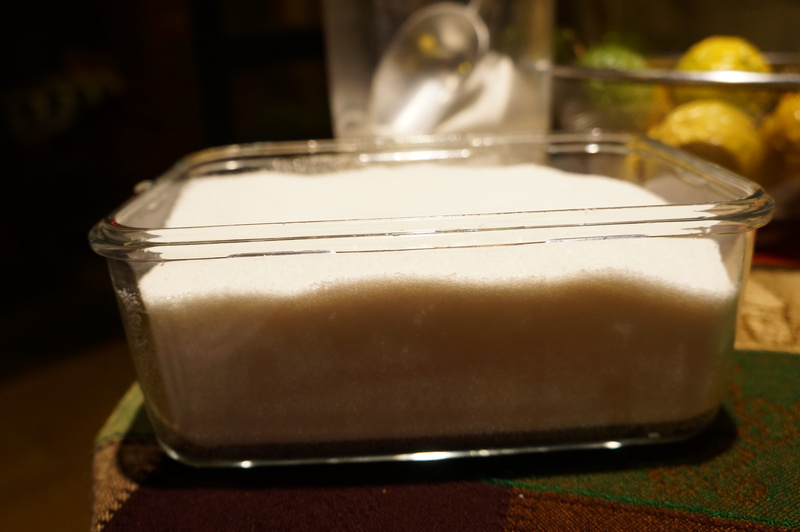 of course, sugar since it adds consistency to jams and particularly marmalades. When creamy marmalades (the compote type which are made with fruits that contain lots of pulp like mango) you can play around with several sweeteners such as honey, agave syrup, stevia and raw sugar. 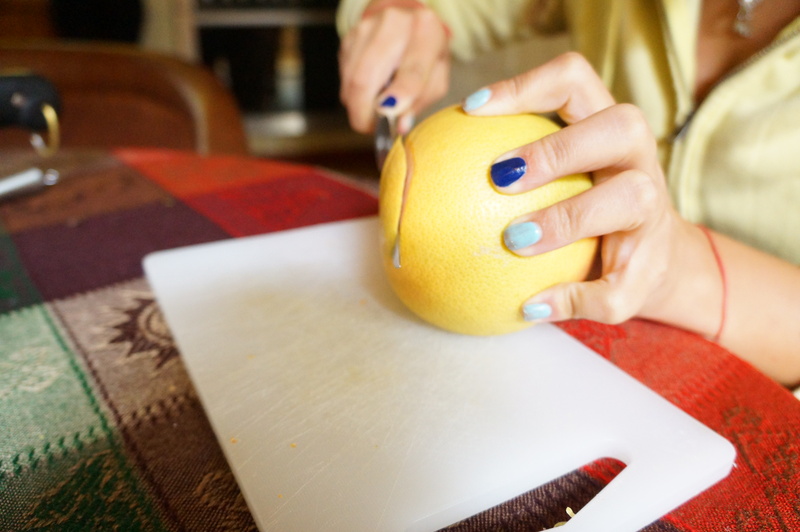 The zest of the grapefruit must be taken off with a zester.. 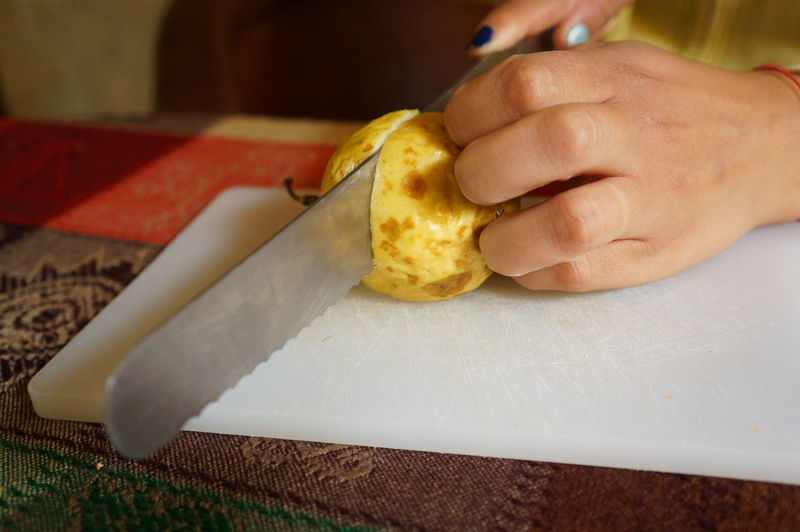 If you do not have a zester, you can take the zest off with a knife and make sure you remove the white part since this can become quite bitter. 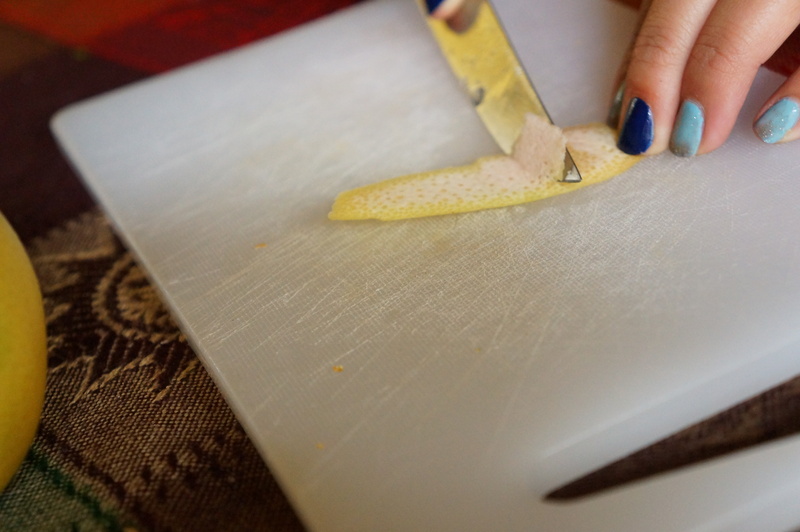 Once the zest is out, cut into juliennes. 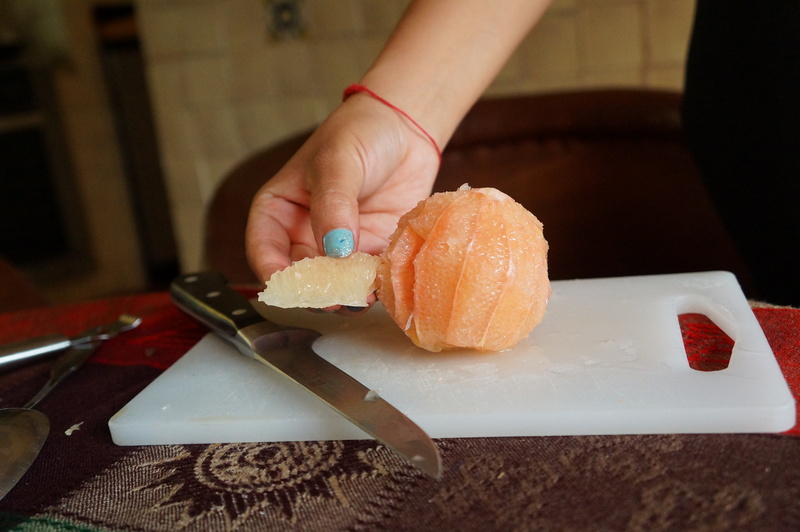 Afterwards, take out the pulp by removing the supreme out. You must cut on each side of each supreme to release it out..
Don’t forget to squeeze the juice! If it was not very clear check this little video on how to do so..
Once your pulp and juice is out, measure it (or weight it if possible) to add the same amount in sugar and mix into a pot with the zest. Mix it well and leave in slow fire. Make sure you stir from time to time. Once the bubbles get thick and there is some foam on top measure the temperature since it is almost ready! If you have a thermometer calculate that jams get set between 90° and 105°. If you are not sure about it just observe the bubbles and take a little bit with a spoon then let it fall on a plate and wait for it to see if it sets. 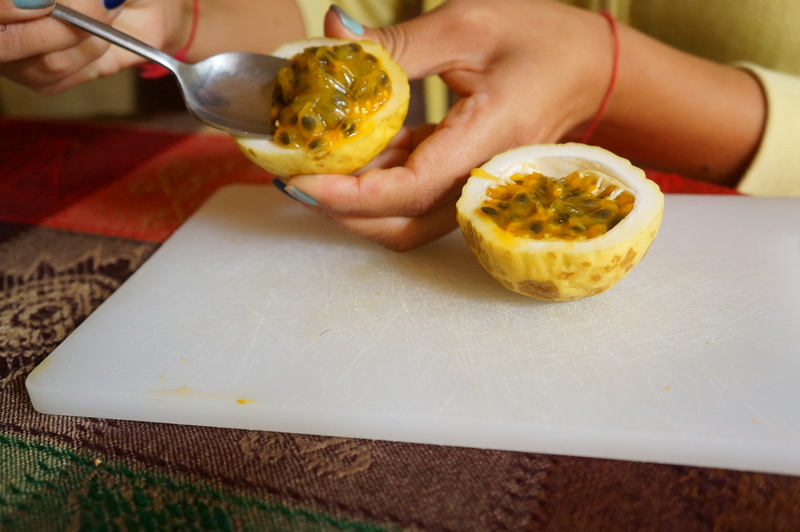 This same recipe can be used for other fruits such as passionfruit. 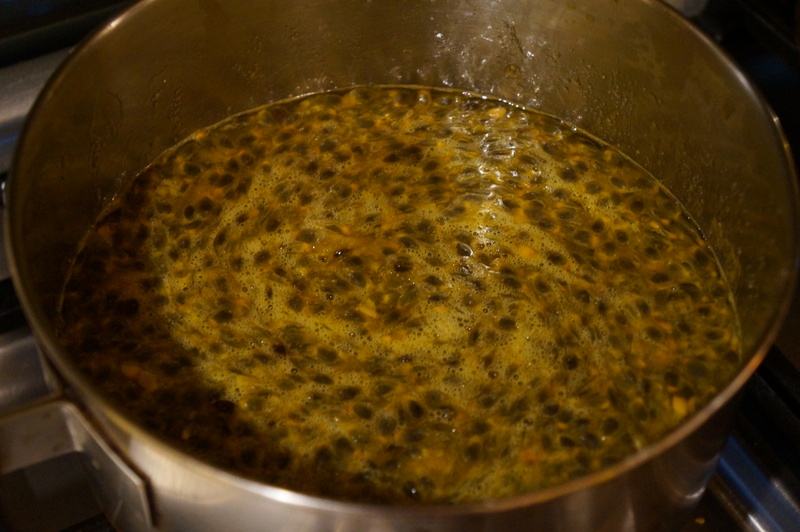 Add as much sugar as you got pulp and let boil until the temperature is right and you have thick bubbles. 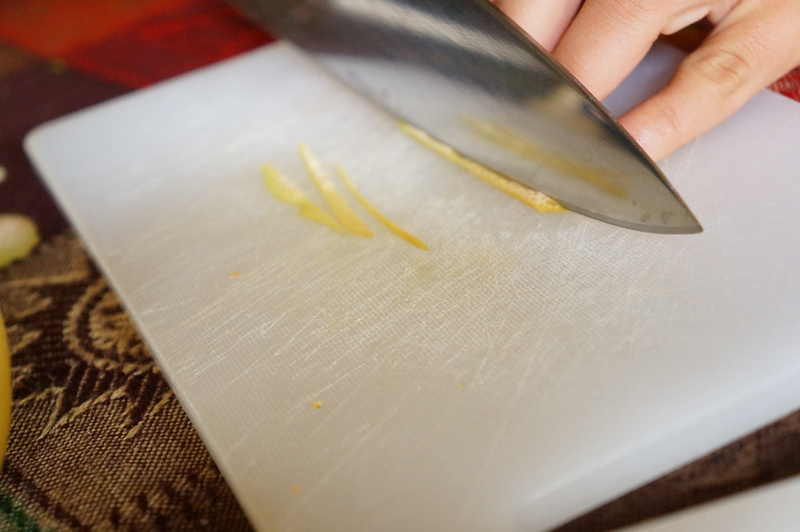 For sweeter fruits you may want to use other sweeteners such as honey or agave syrup. 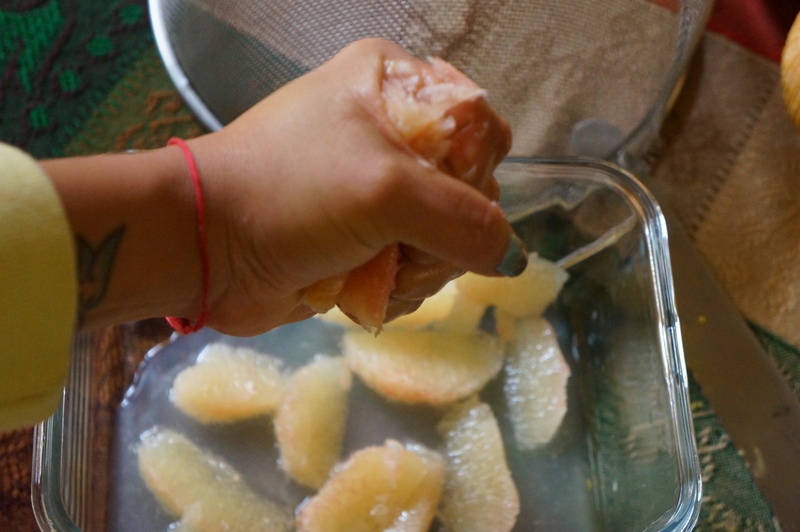 Lets say you choose apple or pears then dice, add water just to cover and boil. Leave the sweetener for the end. Don’t forget to put your jams and marmalades into the fridge since no conservative is added! 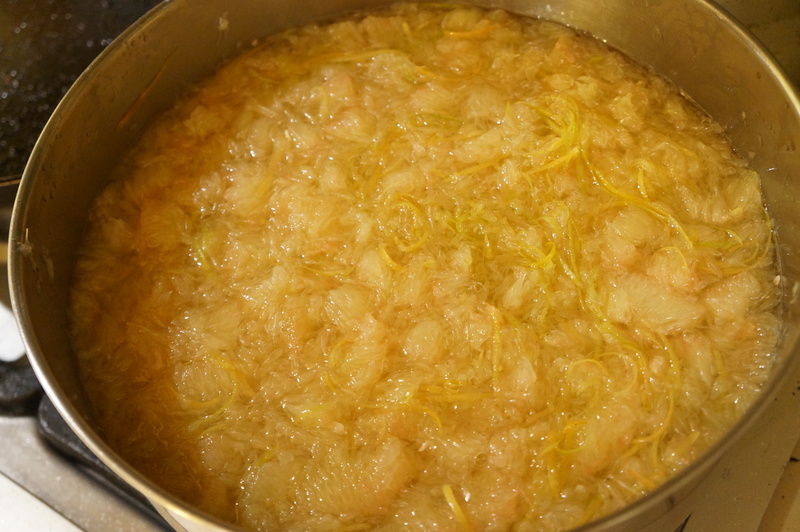 Make sure you dip your glass container in boiling water before pouring marmalade in so that it gets sterilized. 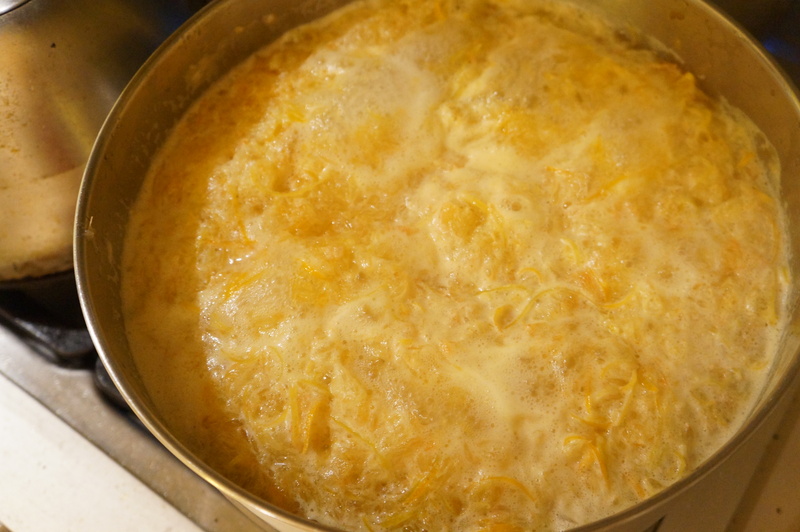 If you want it to last longer, put the container with marmalade in “bain marie” with the lid unscrewed so that air will go out, once the water boils close the lid tight. I hope this is useful and you give it a try! Don’t forget a nice wrapping! Next Post We are now in Bloglovin!